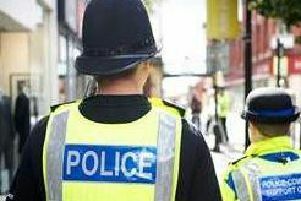 A man was allegedly punched in the face and left with a possible fractured cheekbone in an unprovoked assault in Blackpool, say police. Officers received reports of the alleged assault at the Walkabout on Queen Street at around 2am on Friday, August 18. Police say that a man wearing a red t-shirt allegedly approached the victim and punched him in the face causing a possible fractured cheekbone. The man then fled the scene, they added. Police are now trying to identify the man in the CCTV picture in connection with their investigation. PC 4512 Jason Pritchard said “This is a nasty, unprovoked assault and I would like to know who this male in the CCTV still is. "If you recognise him please contact Blackpool Police." Anyone with information should call 101 quoting crime number WA1715058.